It isn't fair that Santa gets all of the fun both during Christmas and, now, during St. Patrick?s Day! 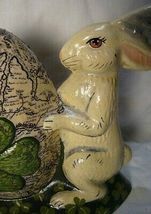 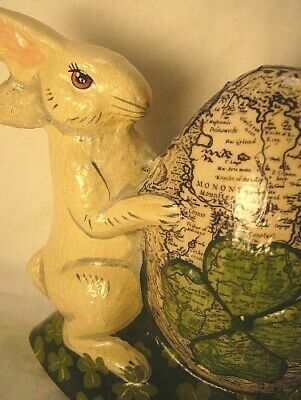 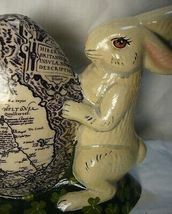 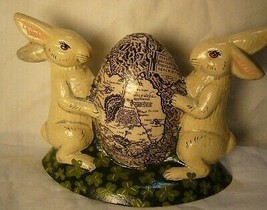 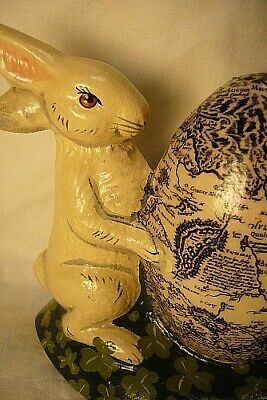 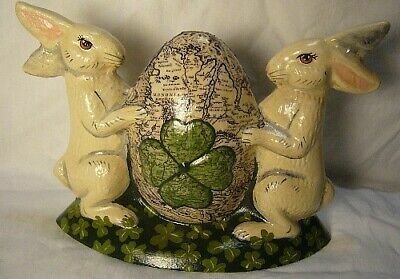 To celebrate your Irish roots with some tasteful Spring ideas, we give you The Dublin Boys, two white rabbits holding a beautiful egg découpaged with an antique map of Ireland! 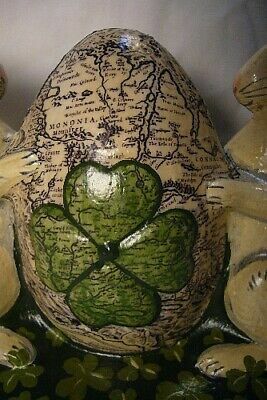 Underneath the map is a green shamrock! 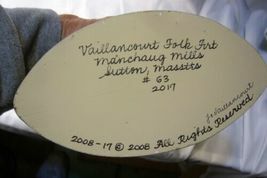 The best way to bring Ireland to your home!